with whom I share my life. that now I call my wife. to always hold her hand. the both of us can share. 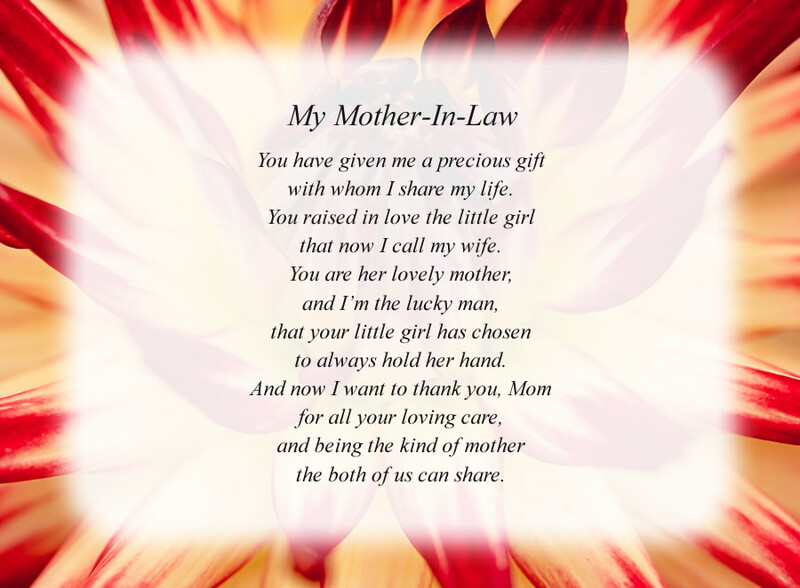 The poem, My Mother-In-Law, is free and printable by opening or downloading using one of the three links below. One link is for the poem with the Red and White Flower background as shown above. The second is for the poem with a plain white background. The third link is for the Red and White Flower background without the poem, in case you would like to print a different poem on this background.